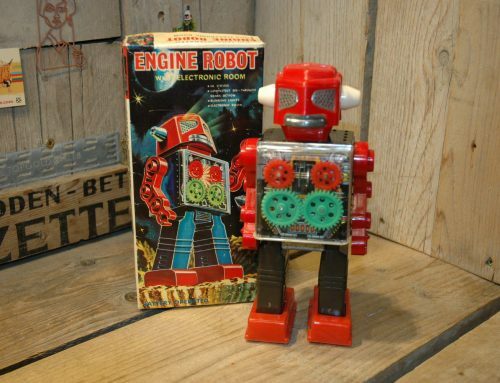 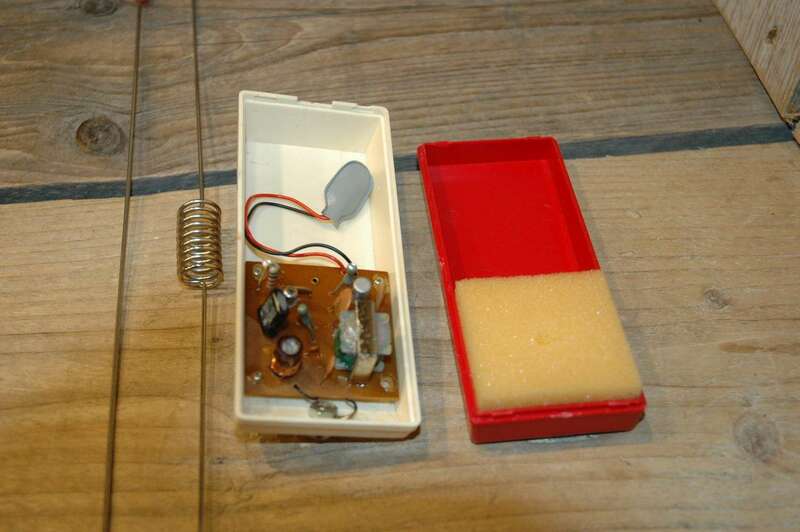 For some reason you simply never see this toy complete.. its always missing something.. the box, an antenna.. instruction manuel or.. it does not work anymore..
Now this one has a few minor flaws but I think we all can live with it 🙂 First let me say this toy is in FULL working condition. 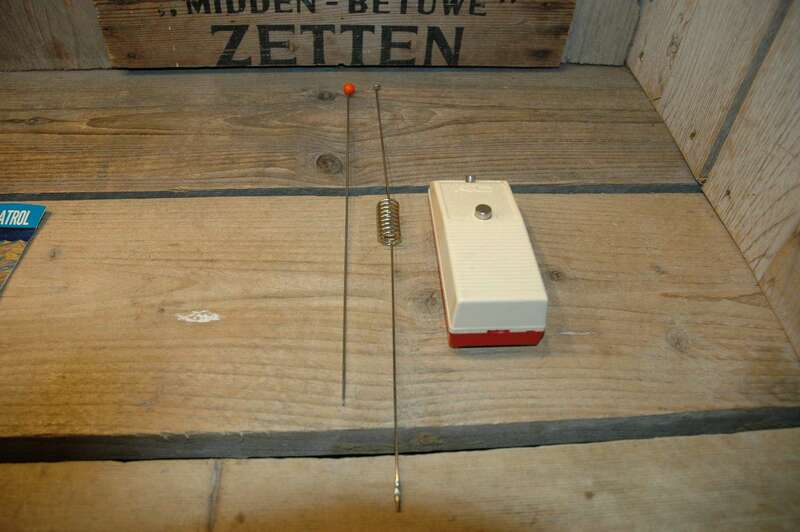 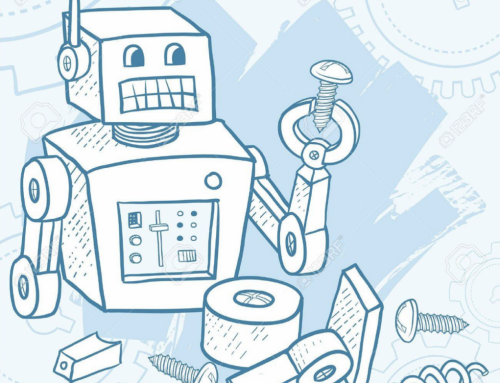 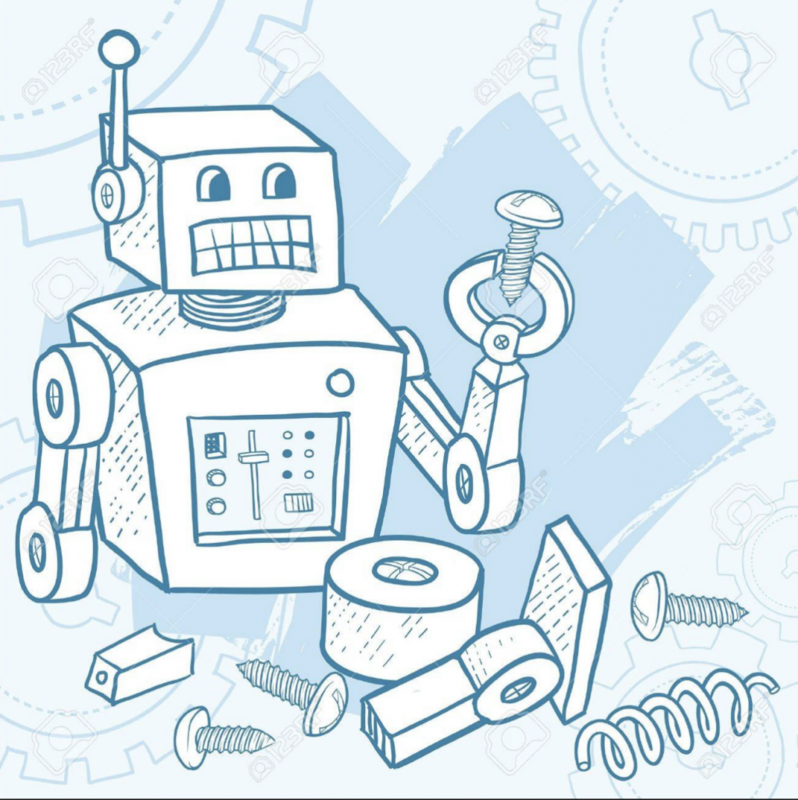 I tested it several times and it works fine and strong. 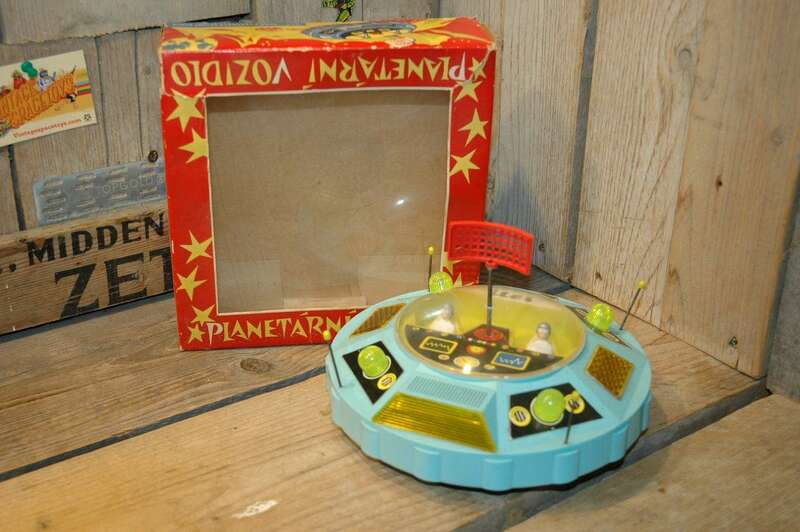 It stays in place til you use the remote and point the toy in a direction.. the astronaut under the dome shows it to you 🙂 with lights and sound.. very cool to see this one in action. The condition of the toy is near mint and complete but one section is cut out of the instruction manual.. take a look at the pics, those damned kids 🙂 simply took some scissors and cut a picture they needed from the manual 😉 well that is about all to mention besides i think that one antenna is not original for this toy ( the one with the orange ball ) but it fits perfect and it the toy works fine with it. 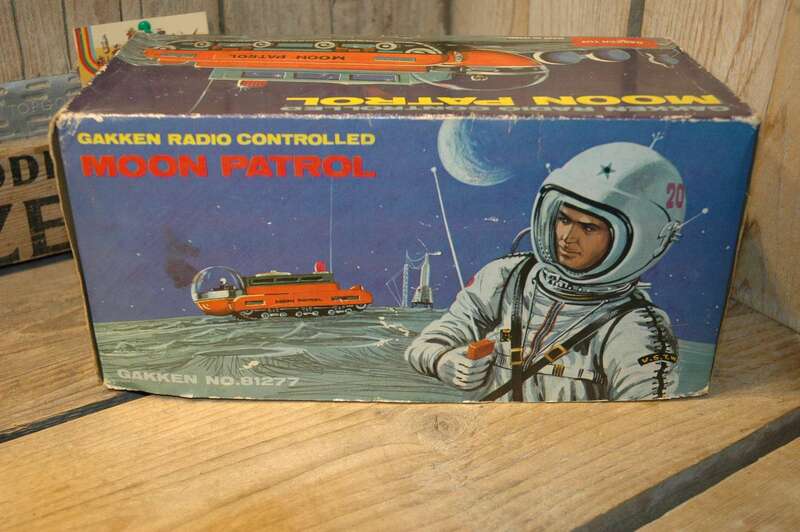 The box is excellent to near mint and only shows some storage wear. 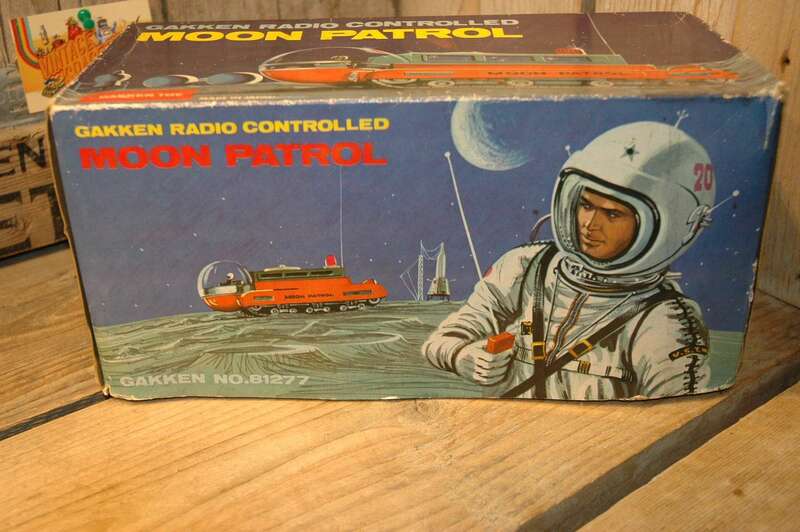 Very very nice box with fantastic artwork. 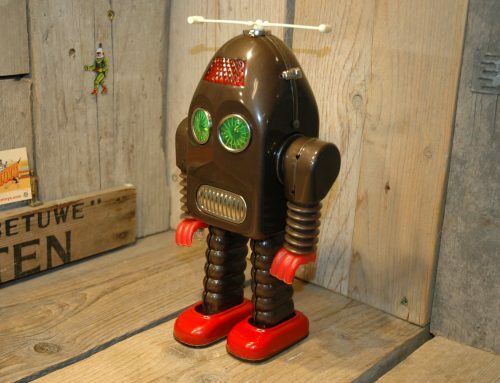 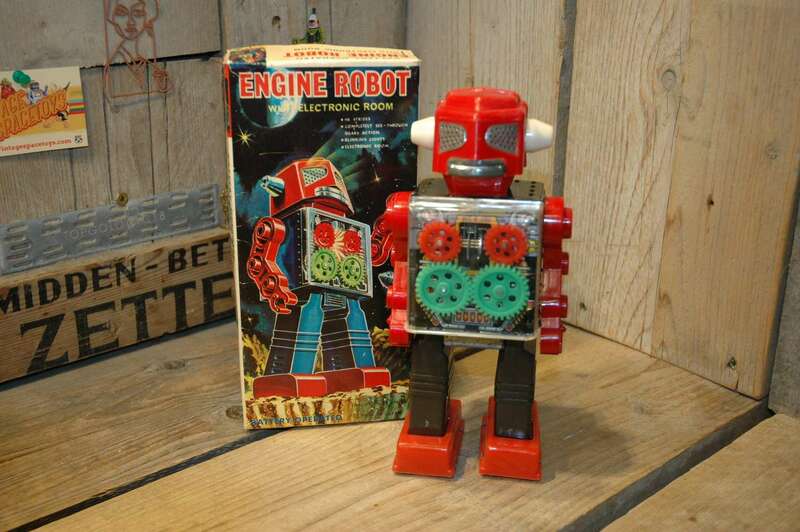 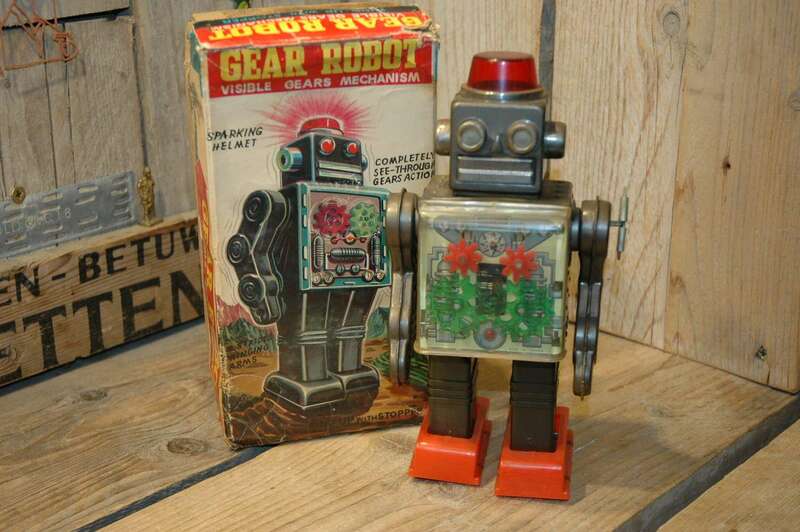 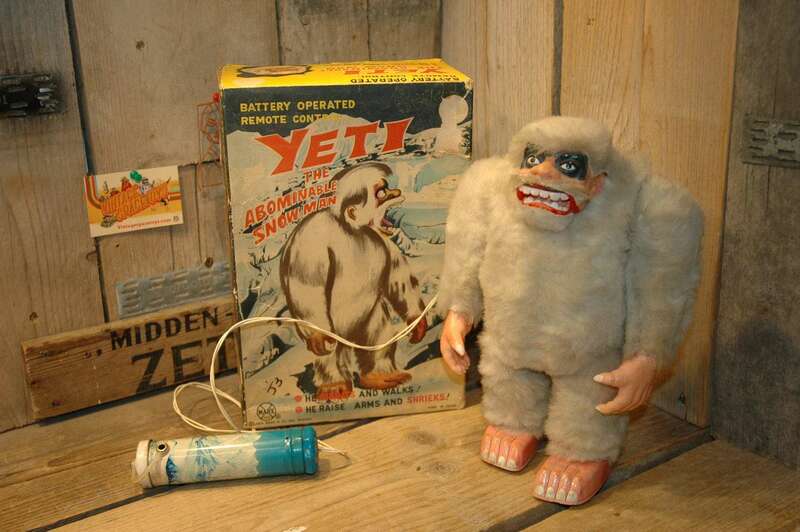 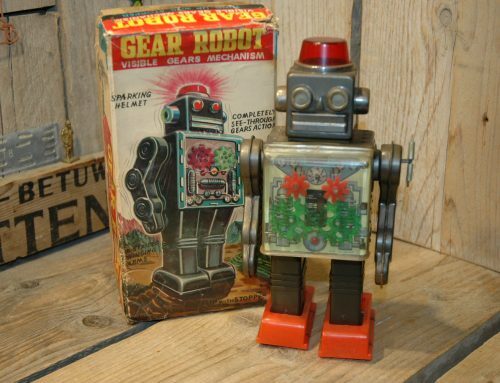 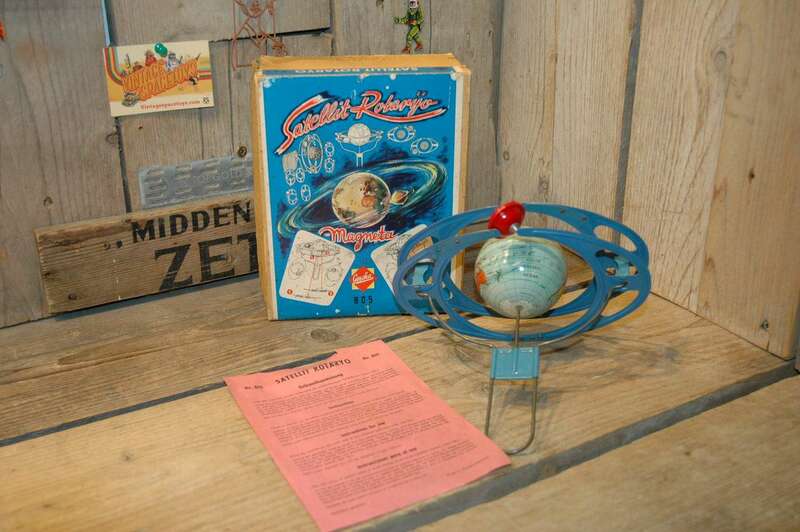 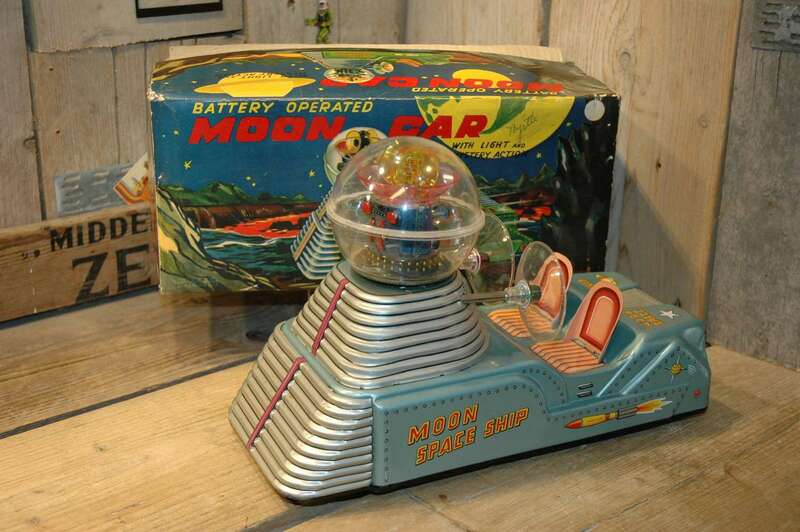 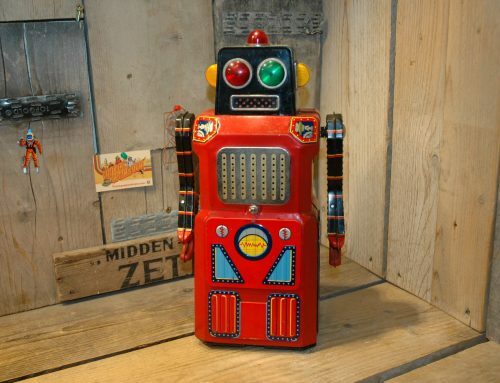 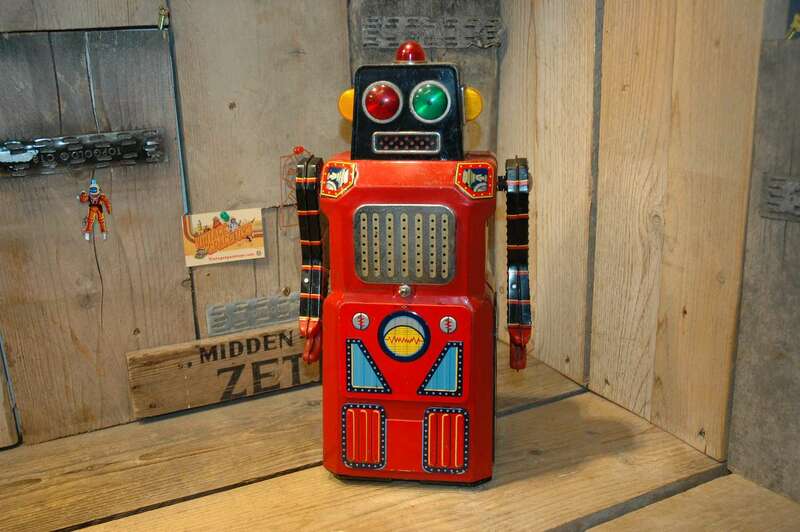 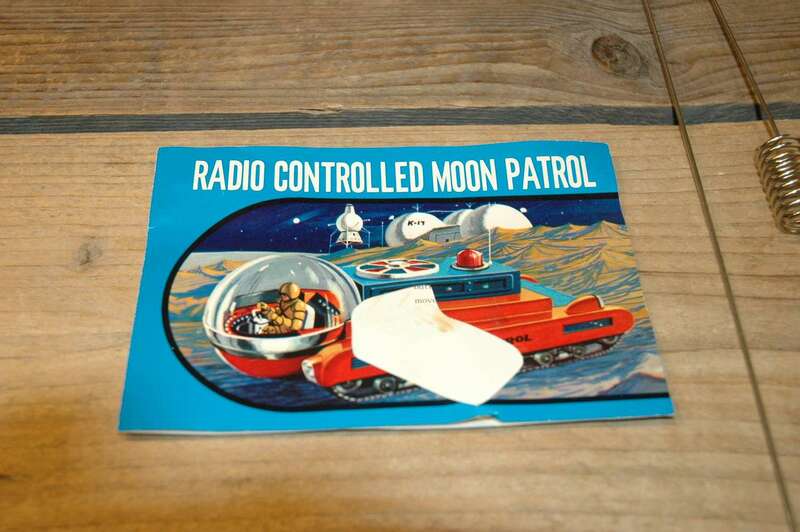 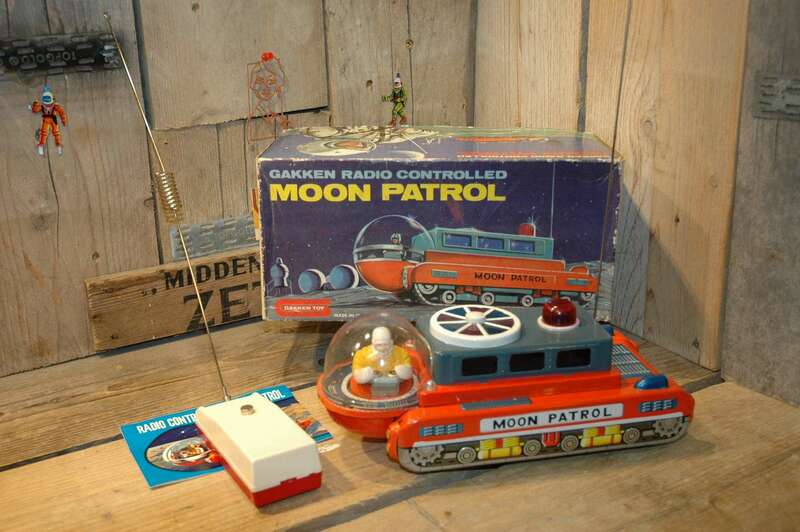 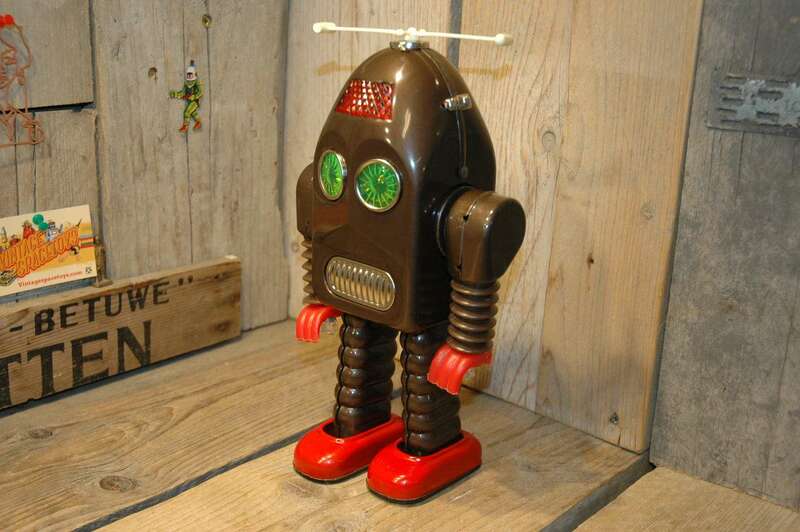 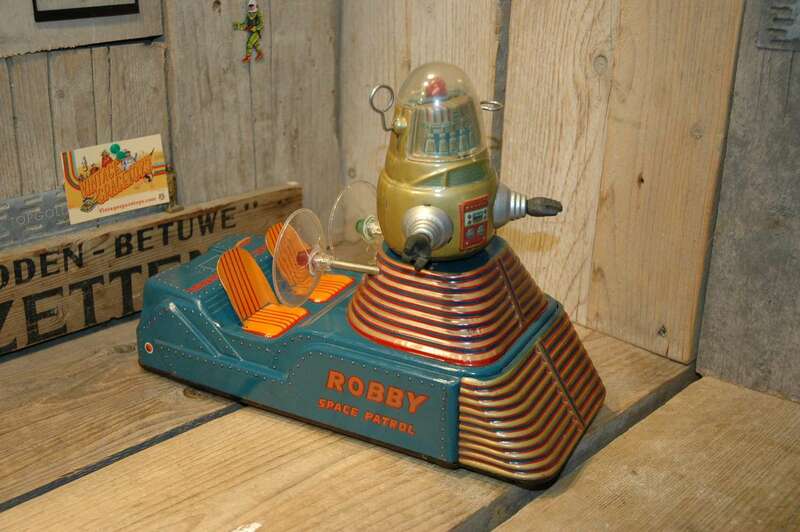 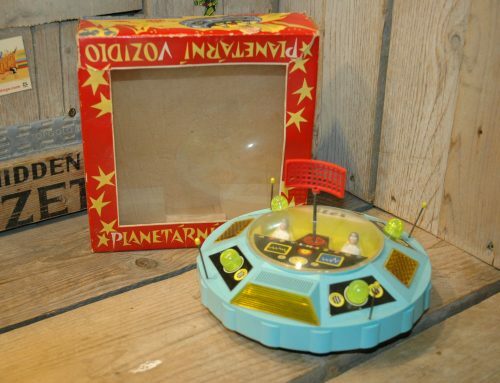 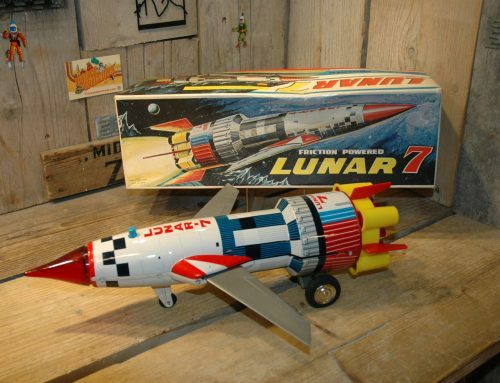 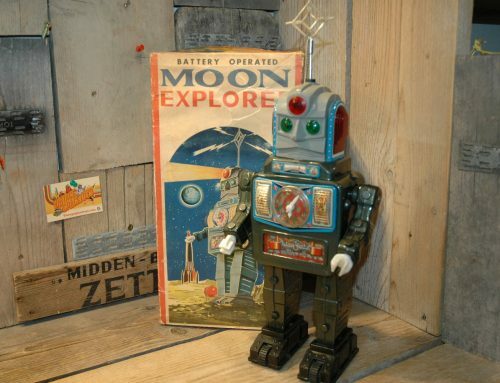 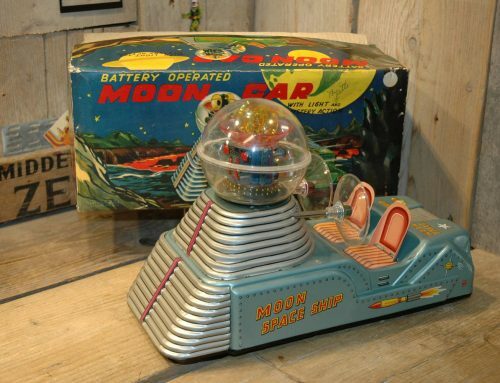 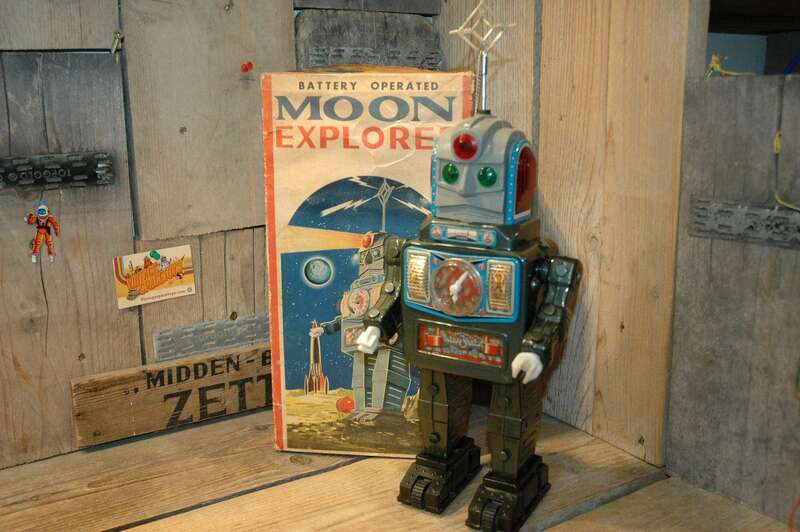 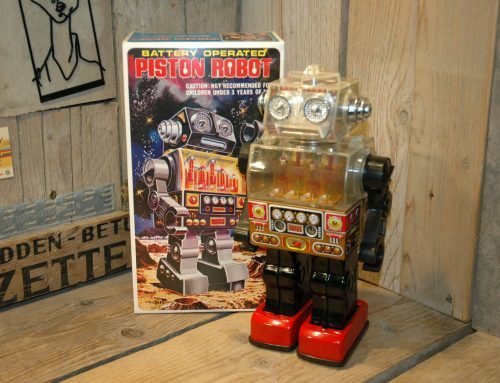 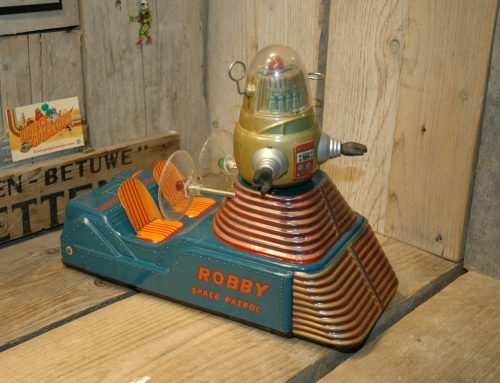 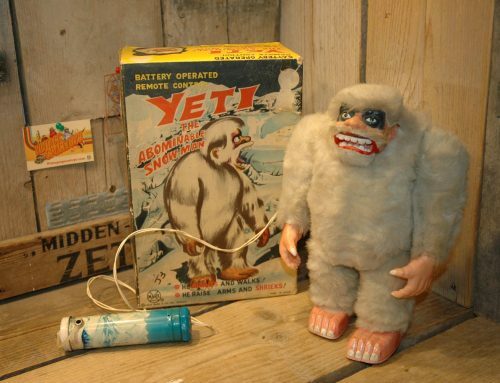 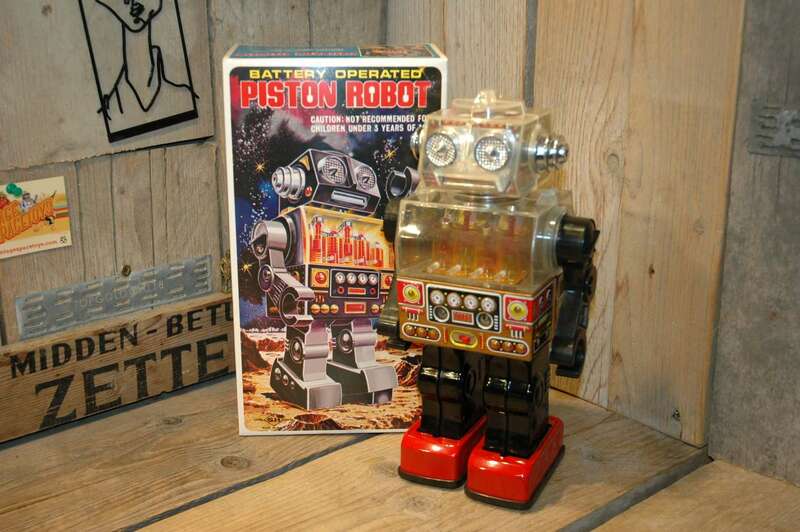 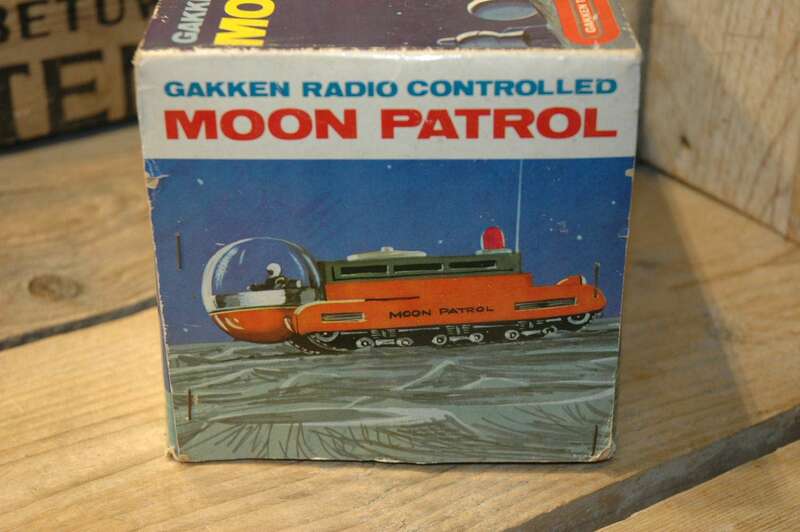 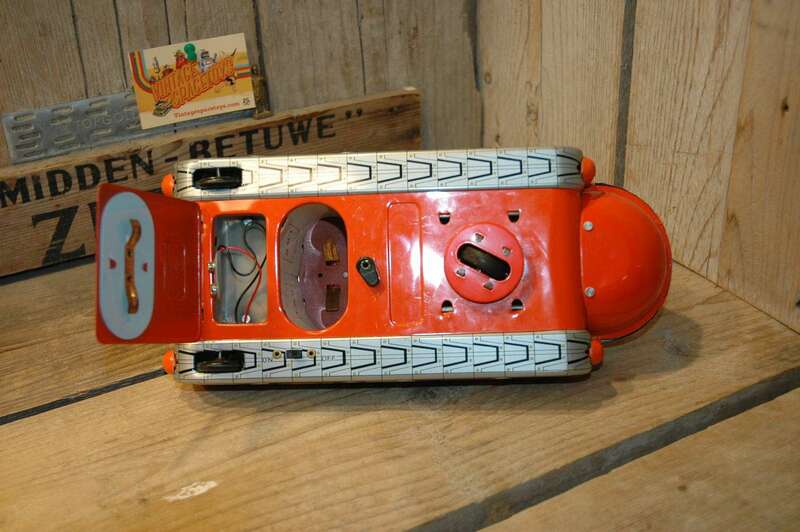 Gakken Moon Patrol is one of the first toys made with remote wireless control in Japan. 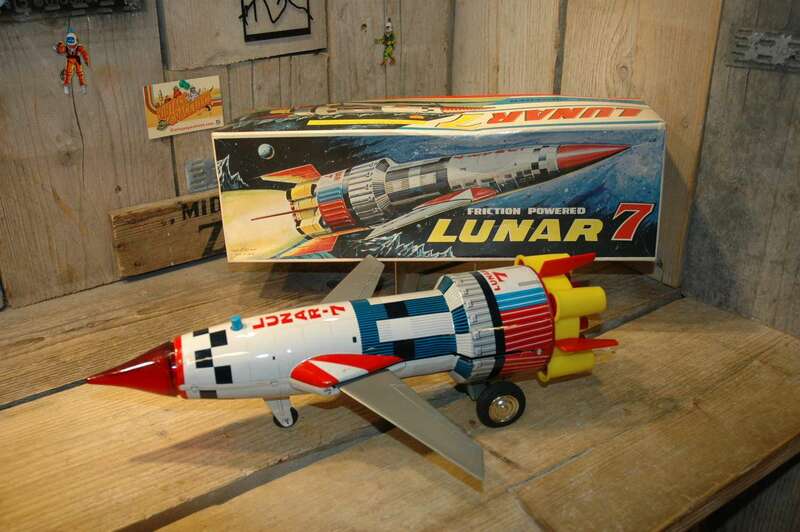 Made in 1969 in Japan. 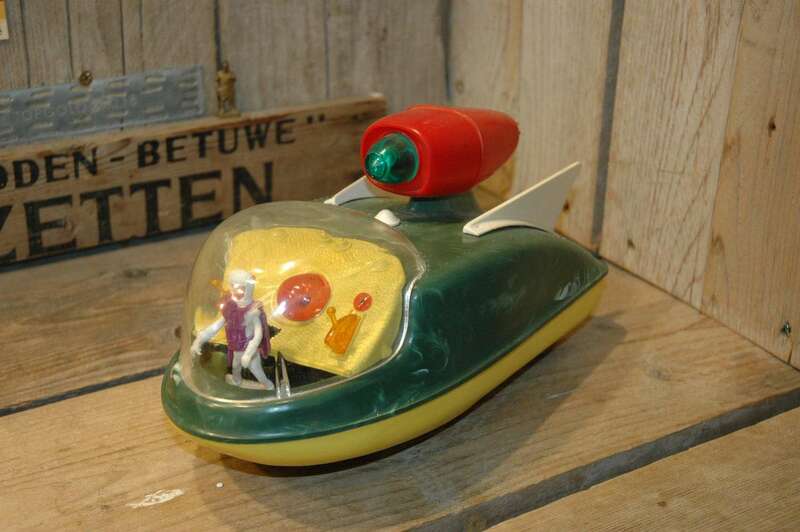 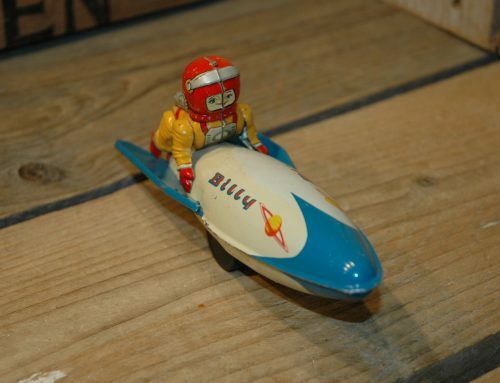 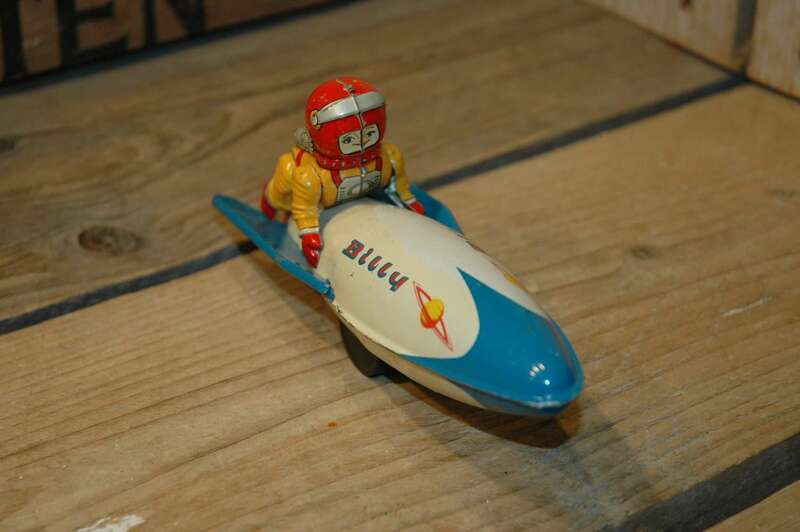 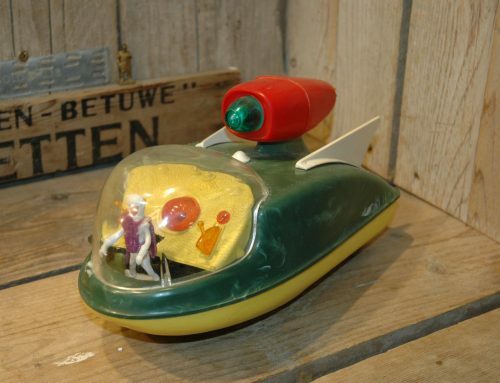 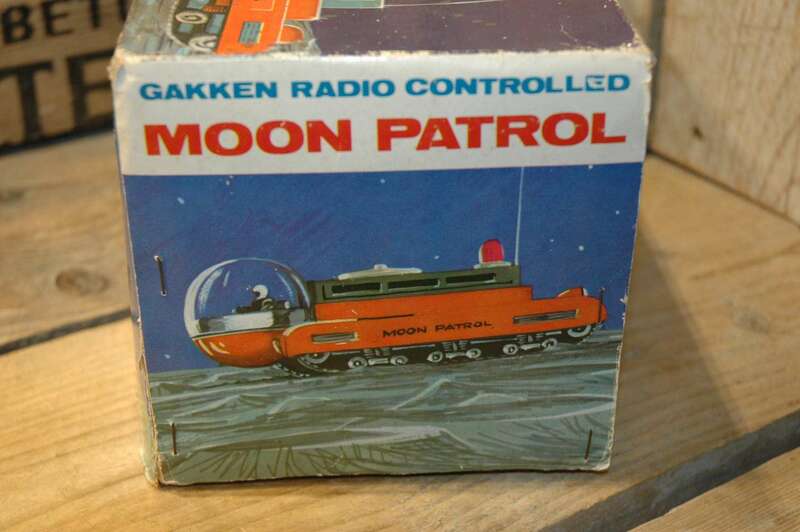 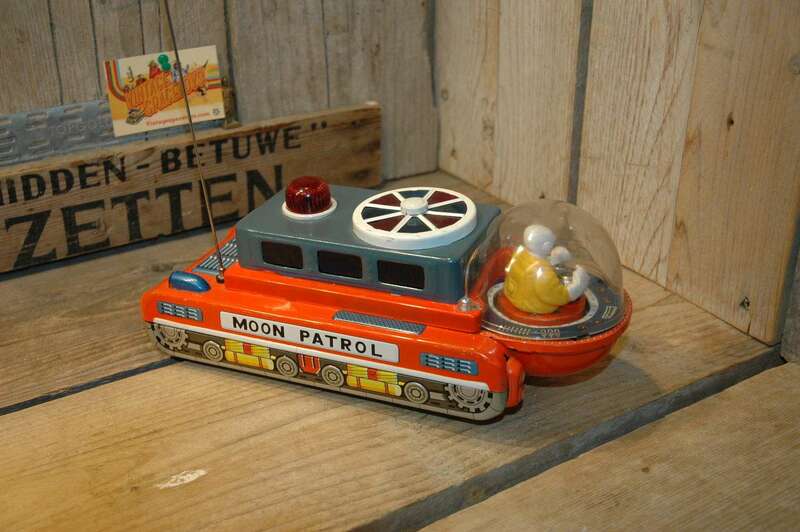 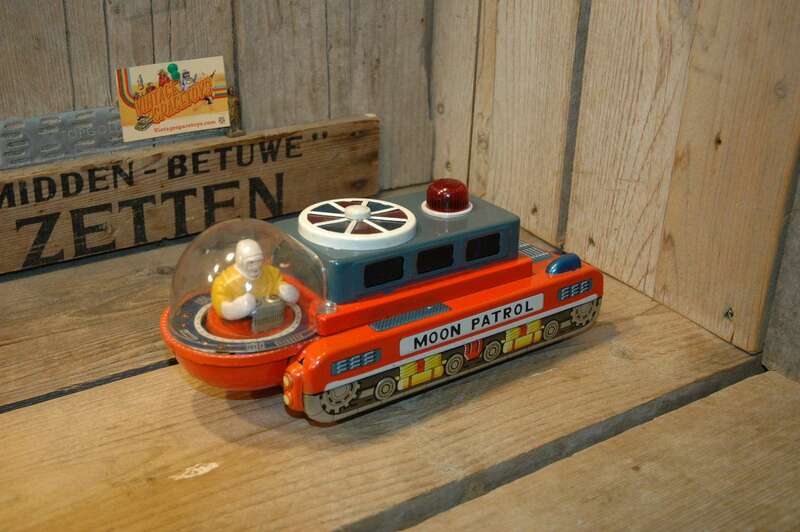 This Gakken Moon Patrol was part of a collection I found in Sweden some years ago. 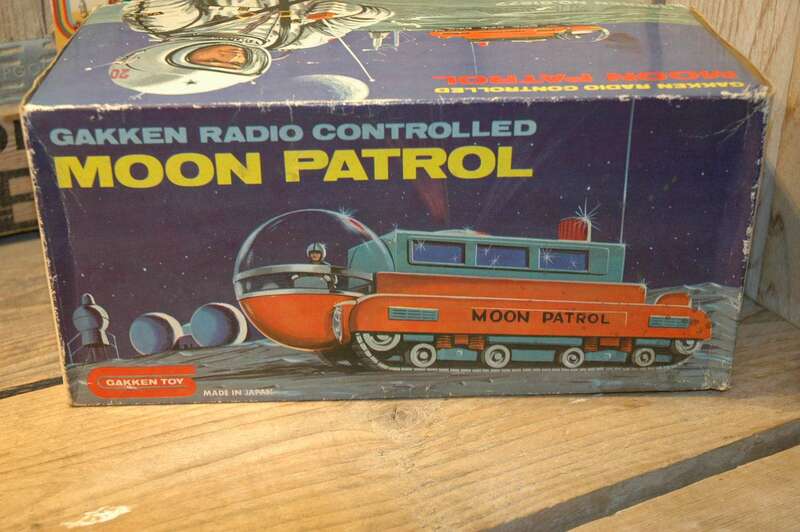 Very hard to find in this pristine condition !